Attached character gets +2 STR. 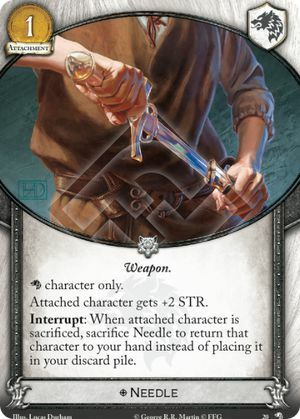 Interrupt: When attached character is sacrificed, sacrifice Needle to return that character to your hand instead of placing it in your discard pile. Wolves of the North #20.